Offering beautiful Swarovski Crystal jewelry - always new in the box. This is the only place outside the US where this beautiful and elegant jewelry can be bought. This is the Touchstone Crystal division by Swarovski- one of 17 divisions. New with papers. This is a beautiful ultra suede wrap bracelet that wraps three times around the wrist and has Swarovski Crystals all around. A beautiful look for Spring and Summer. Brand new in the box. 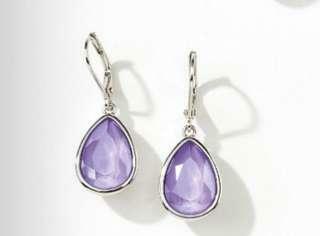 These are absolutely stunning Swarovski Crystal earrings in lilac. 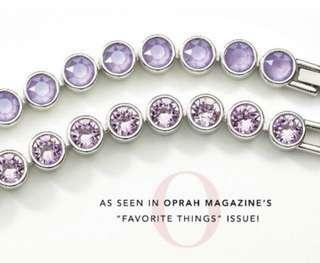 These are made for the Touchstone Crystal division and come new in the box with papers. The metal is rhodium plated to prevent tarnish and they have lever backs to hold them secure. 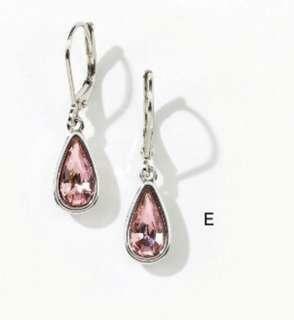 Beautiful Swarovski Crystal earrings brand new in the box. These are set in rhodium plated metal and the crystals are a gorgeous sparkling rose. 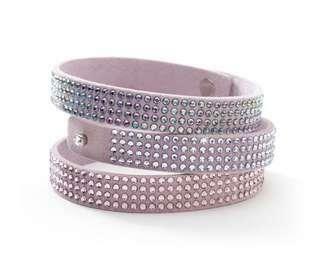 Swarovski Crystal is the finest crystal jewelry and has been in business over 120 years. You will love these!